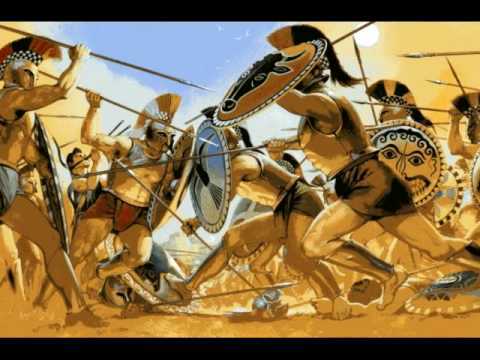 Ancient Greeks battle each other. 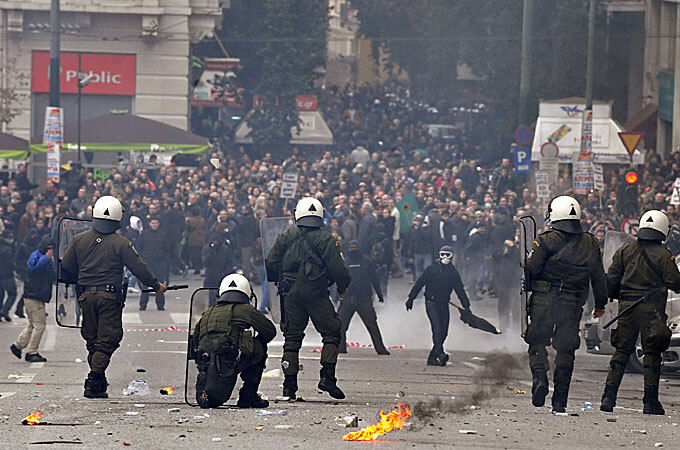 July 19, 2015 - This may come as a shock to modern ears, but there was a time when the nation of Greece was kind of a mess. I’m not talking about a 2015 AD kind of mess, where debts and obligations to the EU are causing financial problems. I’m talking about a 508 BC kind of mess, where a series of civil wars and tyrannical rulers were ripping society apart. Enter Cleisthenes, a bearded Athenian leader who, for our purposes, might as well be the Abner Doubleday of ballotball. 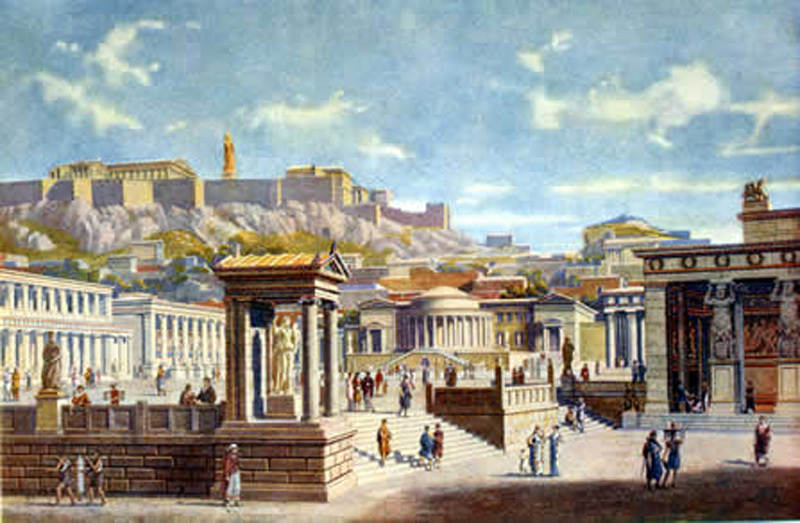 Cleisthenes came to power in an Athens that was ruled by a succession of powerful families. When one family began to lose power, their rivals would strike out violently until a new tyrant or king brought the whole city to its knees. Cleisthenes wanted to find a more peaceful way to rule, and set about inventing one of the earliest forms of ballotball. Cleisthenes’s solution was to undercut the power of the aristocratic families by creating 10 tribes named after mythological heroes. For example, the Ajax tribe was named after a warrior who fought at Troy, while the Antiochis tribe was named after the son of Hercules. Cleisthenes built giant bronze statues of each of these 10 heroes and placed them outside the Athenian Agora. He assigned each Athenian citizen to one of these tribes, and evened each tribe out so that it had an equal number of workers (e.g., farmers, fishermen, etc.) and wealthy aristocrats. Each tribe then held a lottery, and 50 men were randomly selected to serve in a national assembly called the boule. The chosen 50 gathered together with the other winners from across the 10 tribes, and a 500-member boule convened at the Agora every year. Each boule member was in office for only one year (until the next lottery was held) and no one could serve more than once a decade or more than twice in a lifetime. 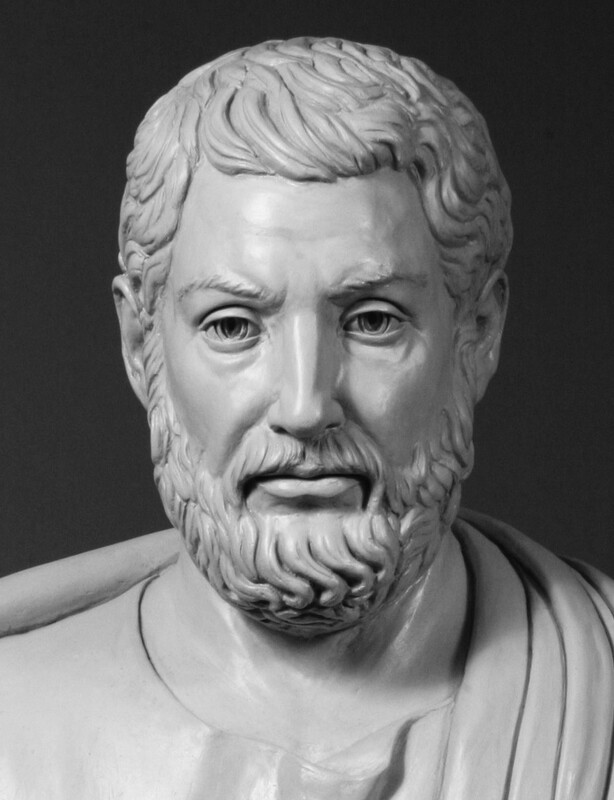 Cleisthenes called his reforms isnomia, meaning that everyone was equal under the law. He hoped that people would stop thinking of themselves as members of an individual family and start thinking of themselves as Athenians. These reforms were a roaring success—which is hard to imagine in a modern context. 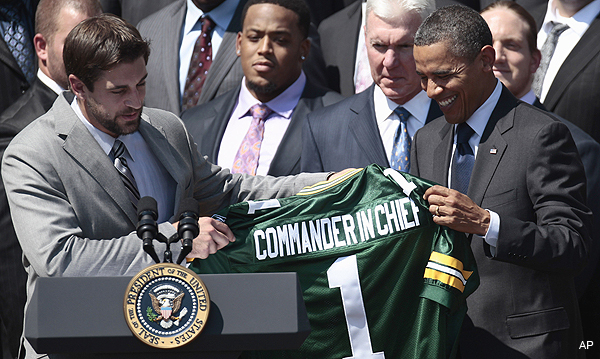 What would happen if President Obama tried something similar? Let’s say that in an address from the Oval Office, the president explains that you are no longer a democrat or a republican. You’re no longer a resident of Wisconsin or California. Instead, you have been drafted into the NFL and you play for the Chicago Bears. Your mother plays for the Packers, and your sister is a Saint. Once a year, you’ll gather together with all the other Bears and draw straws to see who will be elected to Congress. There are no speeches or campaigning, just random chance determining who gets to run the country for a year. Aristotle (we’ll call him an early ballotball beat reporter) wrote that Cleisthenes’ reforms were instrumental in the development of democracy in ancient Greece. But to modern eyes, the whole thing seems completely kooky. While nobody wants rich aristocratic families making all the decisions for them, there are worse fates. Anyone who’s been to a Phillies game knows that there are some people who should never, ever be able to luck into a seat in Congress. Relax, Cleisthenes is way ahead of you. In case such a foul creature ever does enter the halls of power, the Greek statesman had another ace up his sleeve. Once a year, the boule would vote on whether or not they wanted to hold an ostracism. If the vote was yes, then all male citizens in Athens could etch a name of their choosing onto a piece of pottery (called an ostracon). You could vote for anybody you didn’t like: a neighbor, a mother-in-law, a toupee-wearing reality show host who’s running for president, anybody. The “winner” would be unceremoniously kicked out of town and sent into exile for 10 years. While it’s unlikely that any modern nation would adopt a governmental system that divided cities and families into artificial tribes, ostracism seems like a tradition that could happen tomorrow. A reality show called The Next Great American Exile would get higher ratings than The Voice or even the World Series. I can even think of a great host.